The CPAP Ghana Survival Study’s purpose was to determine if low-cost, low-technology CPAP could reduce mortality in children 1 month to 5 years of age with respiratory distress in a low-resource setting. Our team worked closely with Ghana Health Service and our local partner, the Centre for Global Health Research, Ghana. This study serves as a backbone to sidHARTe's CPAP program’s evidence-based approach. The clinical trial began enrollment in January 2014 and concluded in January 2015; full details available at ClinicalTrials.gov. Acute respiratory infections, malaria and sepsis remain leading causes of death in children worldwide. 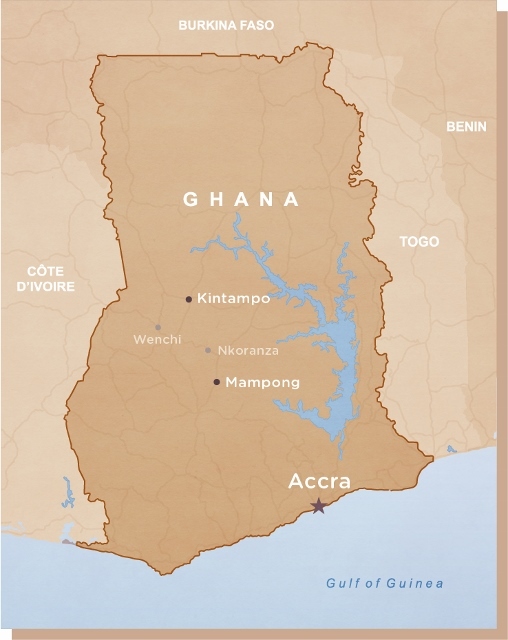 In 2011 a randomized controlled clinical trial evaluating nasal CPAP in pediatric patients aged three months to five years in acute respiratory distress was performed in four rural hospitals in Ghana (Kintampo, Mampong, Nkoranza and Mampong). The study found patients receiving CPAP (n=31) had a significant decrease in respiratory rate compared with those that did not (n=38), with a mean difference of 16 breaths per minute. There were no major side effects associated with the use of CPAP. Having demonstrated CPAP decreased respiratory rate in a nonspecific disease population presenting with respiratory distress we set out to determine if CPAP could also improve survival and to more accurately define the etiology of respiratory distress. Compare 2 week mortality rates in children 1 month to 5 years of age with respiratory distress receiving CPAP and standard therapy with children receiving standard therapy alone. Determine the etiology of respiratory distress in the cohort of children using malaria rapid diagnostic tests, malaria parasite smears, full blood counts and viral PCR testing. Measure change in respiratory rates between children receiving CPAP and those that do not at 24 hours. Study sites: The study took place in two hospitals in central Ghana — Mampong District Hospital in Ashanti region and Kintampo Municipal Hospital in Brong-Ahafo region — where invasive mechanical ventilation is not routinely available. Both sites were part of the initial respiratory study in 2011. Study Procedures: Ghanaian nurses and healthcare providers in the study hospitals received training on proper CPAP application via hands-on training and didactic sessions. Eligible participants enrolled in this open-label, cluster, crossover trial were children aged from 1 month to 5 years with a respiratory rate of more than 50 breaths per min in children 1–12 months old, or more than 40 breaths per min in children older than 12 months, and use of accessory muscles or nasal flaring. CPAP machines were allocated to one hospital during each study block, while the other hospital served as the control site. The initial intervention site was randomly chosen using a coin toss. 5 cm of water pressure was delivered via CPAP nasal prongs. Study outcomes: The primary outcome measure was all-cause mortality rate at 2 weeks after enrolment in patients for whom data were available after 2 weeks. Post-hoc regression analysis and subgroup analysis of children by malaria status, oxygen saturation, and age was also run. This study was registered with ClinicalTrials.gov, number NCT01839474.